The website repertoire includes sacred music, opera, and art song. Languages of the repertoire: English, French, Italian, German and Russian. Each page “title” is composed of the tools mentioned above. As well as providing a service we wish to develop a community of singers to explore, share and develop their repertoire through building playlists on our “repertoire” service. New editions and arrangements of work by composers who are no longer in copyright. The copyright for these editions and arrangements is owned by Bruggart limited, the owners of Lyribox.com. Published with the permission of the composer/arranger. What is the meaning of (C), (NYC) and (S)? How do I open the score? All scores are in PDF format. To open them, you need Adobe Acrobat Reader 5.0 or higher (Adobe Reader 6.0 or 7.0 is recommended). If you do not have the latest Adobe Reader, you can download it here for free. Once the Acrobat Reader is installed, just click on the score you want to see or print. The Reader will do the rest. A word of advice: if you have an older version of Acrobat, uninstall it before installing a new version. Do the Lyribox files work with both Mac and Windows? Yes, they work with both Mac and Windows. As the music files are created in PDF/mp3 format, they are compatible with virtually all operating systems. Is there a limit of how many copies I can print? Absolutely no limit! That’s another benefit of using Lyribox. You can print as many copies as you like. Lyribox’s extensive catalogue is based on available public domain editions. The compositions which we offer, are (all) in the public domain in the EU. All our scores have been re-edited in Sibelius software and are offered in five different keys. Lyribox editors carefully examine each work and assess its copyright status before adding title and copyright notes. Can I use Lyribox scores for lessons, competitions, festivals and performances? Can I redistribute the files derived from the Lyribox catalogue? No. Each digital score / recording / information acquired, digitized and distributed by Lyribox is the sole and exclusive property of Lyribox and the Bruggart limited company. The Lyribox files are intended for your personal use. It is strictly forbidden to reproduce and/or distribute any digital file downloaded, copied or derived from Lyribox without the written permission of Lyribox or the Bruggart company. How will I learn about Lyribox new titles? We constantly add new titles to our already vast catalogue. Please bookmark the Lyribox site for your favorite music, composer and instrument. You can also subscribe to our newsletter, and we will inform you of any new additions and promotions. Vincent Bruggeman was born in 1991 in Orleans in France. He began his musical training with the boys’ choir ‘Les Petits chanteurs à la Croix de Bois’ under the direction of Véronique Thomassin, in which he participated in over 700 concerts in France and abroad. He also appeared in numerous television and radio programs. In 2006 he joined the Orléans Conservatoire in the class of Sharon Coste, until 2008, where he continued his studies at the Conservatory of St. Maur des Fosses in the class of Yves Sotin. In 2010 he created the website www.livretpartition.com. In April 2011 he sang the role of Marco in Gianni Schicchi by Giacomo Puccini, at St Maur des Fosses theatre. In the same year, he gained his singing prize with honours at the CRR of Saint-Maur des Fossés. In September 2011 he joined the Bmus course at the Guildhall School of Music and Drama in the class of David Pollard. 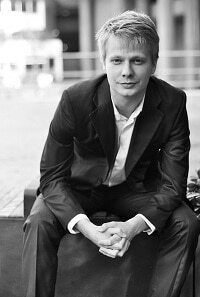 In December 2012 he created the BRUGGART Ltd in London and launched the website www.lyribox.com. 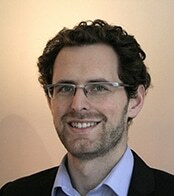 Emmanuel Parmentier has 7 years of experience in strategy consulting. He is a manager at INDEFI, an independent strategy consulting firm based in Paris. Emmanuel has conducted several strategic business plan projects for SMEs or large business units, in the financial sector, retail (both online & offline) and other industries. He also has a broad range of experience of private equity & venture funds for strategic due diligence projects. Since 2011, Since 2011, Emmanuel has been a founding partner of ExFi Partners, a consulting firm specialising in the optimisation of extra financial performance (ESG) of private equity managers and their portfolios. Emmanuel has a double masters degree from the engineering schools Ecole Centrale Paris and Universidad Politécnica de Madrid (Escuela Técnica Superior de Ingenieros Industriales). He is fluent in English and Spanish. For Lyribox, he supervises the financials and helps define the strategy. François Parmentier has 7 years of experience in Compliance, Internal Control and Risk Management. He is a Senior Compliance, Internal Control and Risk Management Officer in a private equity firm with assets managed or advised in Europe, North America and Asia. 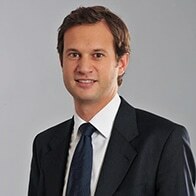 Prior to joining this firm in 2008, François worked for two years within the General Inspection of the Crédit Agricole Group. François holds a one-year post-graduate diploma in Bank and Finance from Aix Marseille III University and a Master’s Degree in Management major Finance from Paris IX Dauphine University. François is also a founding partner of Unedate.fr, an internet website that promote sharing of user’s hobbies in order to create a real link between all users. Kaëlig was born in 1990 in France, he began singing at 9-years-old in a choir: Le choeur d’enfants de Bretagne under the direction of Jean Ruaut. Then, he was accepted at the Conservatory of Rennes in the class of Martine Surais. In 2009, he became professional in two choirs: Choeur de l’Opéra de Rennes and Mélisme(s) under the direction of Gildas Pungier. Kaëlig obtained at the same time a degree in organizations and companies’ management at the University of Rennes. He then work for the Brittany Orchestra in the communication service. In 2011, he moved in Paris because of his recruitment to the Departement Supérieur pour Jeunes Chanteurs de Paris, a school founded by Laurence Equilbey. He is a tenor singer in the class of Florence Guignolet in the Regional Conservatory of Paris. Kaëlig is passionate about opera singing but also management and technologies. Thibaut Desplantes is a young baritone who started music at a very young age. 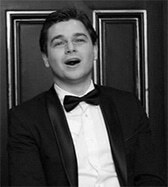 Thibaut has appeared as a soloist (in Les saltimbanques and in Merlin ou l’île renversée) and as a chorister ( Choeur de l’Opéra National du Rhin, Choeur de L’opéra National de Montpellier, Choeur de l’ Opéra de Toulon). Since 2009 Thibaut Desplantes has been studying with Yves Sotin in the Conservatory of Saint-Maur des Fossés.